The seat and back of the HÅG Conventio 9812 are available in six different colours: Black, white, grey, red, yellow-green and blue-grey. Back attachment in matte black or silver. Black plastic footbase. 150 mm gas lift. Armrests are optional. Can be stacked up to 15 high. A stable lightweight chair. A dynamic chair specially designed for meetings and conferences. 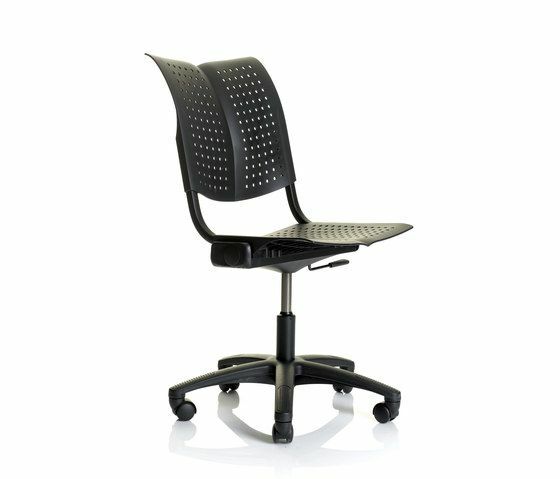 The built-in rocking mechanism inspires variation and movement, enhancing your colleagues’ and audience’s blood circulation, mental focus and performance. HÅG Conventio Wing is made from light materials than can cope with rough treatment. Its easy maintenance makes the chair particularly well suited for use in places such as schools, universities, libraries, canteens, cafés, meeting rooms, hotels and conference centres. The wing-shaped back also gives the chair an attractive appearance. The chair can be stacked 10-15 chairs high. Placing out neat rows of chairs is made easy by the linking mechanism. The seat and back of the HÅG Conventio are available in six different colours: Black, white, grey, red, yellow-green and blue-grey. A stable lightweight chair that is easily placed out and stacked away. Scandinavian Business Seating is an international company in the office chairs, canteen and conference furniture segment.